“Nobody deserves warm beer. Especially not you.” When you’re in a hurry, add water and two trays of ice to the Cooper Cooler, place a can or bottle of beer inside, and let it rip. 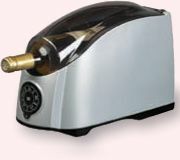 A beer or soda_can chills in a minute, a wine bottle in six. 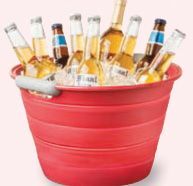 If you prefer to chill beers and sodas the old-fashioned way, put them on ice in this sturdy silicone bucket. When the party is over, the bin collapses down to less than 2_inches tall. When tested alongside five other top-rated koozies, the vacuuminsulated Thermos emerged “the undisputed champion.” It combines excellent insulation with a slender build that fits into most cup holders.